Whatever the reason, whether for work or retirement, there may come a time when you want to ship your vehicle overseas. When arranging for your vehicle to be shipped overseas, there are quite a few options and steps you should consider in preparation. Because shipping your vehicle overseas can be costly and time-consuming, it’s important to consider whether or not you will truly need your car in your travels. Step 1: Determine your need for the vehicle. Evaluate whether your new place of residence will require you to have a vehicle. There may also be other factors, such as the location of the steering wheel and the availability of public transit. You should also consider the cost of purchasing a vehicle overseas. Step 2: Research any laws that may affect your shipment. Research vehicle import and export laws of both your destination country and your country of origin. You will also want to do research on your destination’s driver laws. Depending on how long that process will take, you might want to consider other transportation options. Tip: If you live in the United States (or are planning to travel here), try starting your research on the U.S. Customs and Border Protection website and overview their import and export policies. If you do decide that shipping your vehicle overseas is the best course of action, follow these instructions to prepare and arrange the transport of your vehicle. Step 1: Prepare your vehicle. You will want to prepare your vehicle to protect from any avoidable in-transit damage. 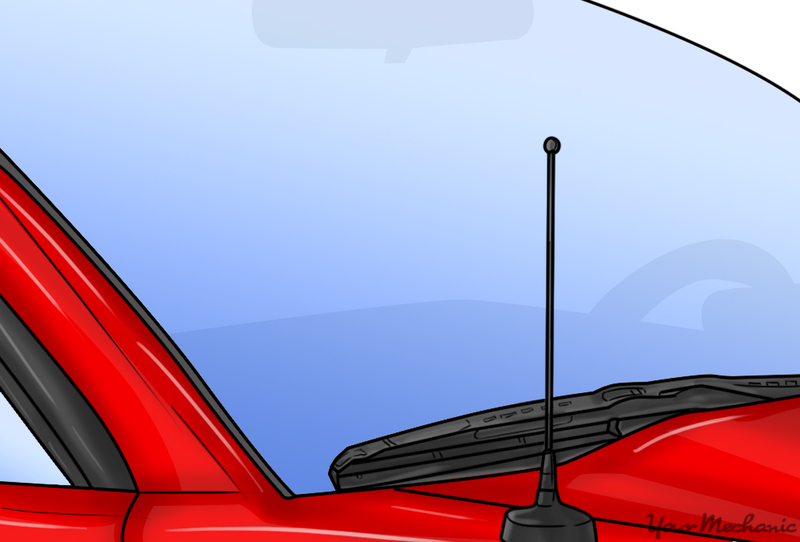 Some of the most common things to remember when preparing your car for overseas transport are lowering your car’s radio antenna and making sure the fuel level in your vehicle is only at a quarter of your tank’s capacity. You should also share instructions on how to disarm your car alarm with your movers and packers and remove electronic devices (such as an E-Z pass) and all personal items. Clean your car as well. Tip: When cleaning your car, you will also want to remove roof racks, spoilers, or anything else that protrudes from your car, as it can easily be damaged in transport. Step 2: Be aware of the condition of your vehicle. You will want to thoroughly inspect your car prior to transporting your vehicle. Take pictures of your car from multiple angles, including under the hood. In addition, take notes of how the car runs, and what the fuel and fluid levels are reading. Use these notes and images for reference later on, when you’re checking for any damages that may have happened in transit. Step 3: Provide necessary items to your movers. You will be asked to provide your movers with some essential items. These include extra copies of keys (for every part of the car) and at least one spare tire for your vehicle. The transport company will often ask for these items so that, in the event of an accident, they may efficiently operate the car to prevent damage in transit. As such, it’s always a good idea to comply with these requests ahead of time. Tip: When making copies of your car keys, make a few extra copies for yourself in case the others are lost. Step 4: Make arrangements with your employer. If you are moving for work, check with your employer or HR department to see if they can cover part of your moving costs. Step 5: Make arrangements with your insurance company. 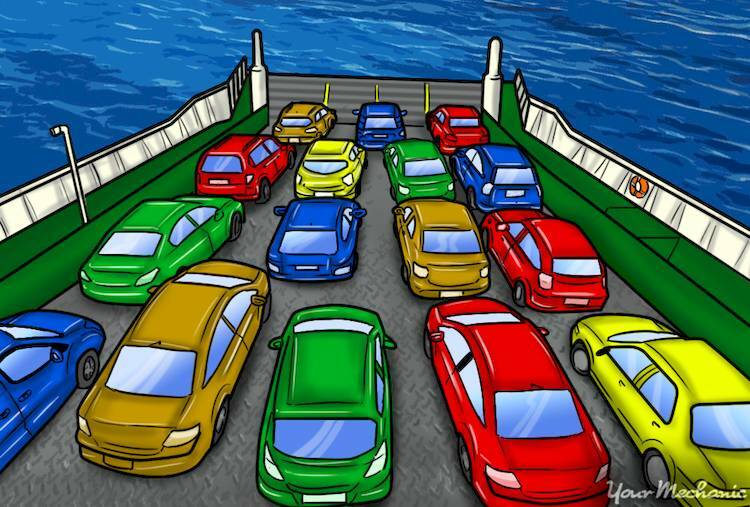 You should also check with your car insurance company and see if your policy covers overseas vehicle shipping. This will often require you to purchase additional shipping insurance, which is usually 1.5%-2.5% of your car’s estimated value and is paid to the auto transport company you choose. Step 6: Find a shipping company. 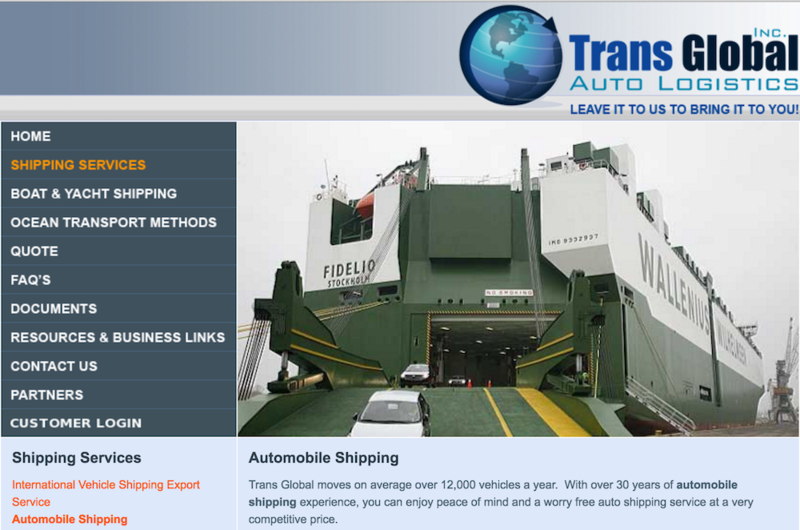 With all the background in place, you now must choose a company to ship your car. Some of these include Trans Global and DAS. You’ll want to decide based on their rates and your location, as well as the type of car you own. Tip: Contact the Federal Motor Carrier Safety Administration for information about a shipper’s credentials. Step 7: Verify shipping details. Once you make a decision on a shipper, you should inquire about the details of the shipping process. For example, ask when the car will be delivered and how the car will be shipped, whether covered or uncovered, as well as if you will need to travel to pick the car up from a nearby terminal or if it is delivered to your door. Note: Be sure to keep note of the terms and conditions involved with your shipment, so you aren’t blindsided later on. Step 8: Schedule the shipment. Once you are satisfied with all the details of your arrangement, schedule for the car to be shipped. Tip: Keep all documents from your shipping transaction in a safe place in case any issues arise. Moving your car overseas doesn’t have to be a hassle, especially if you are conscientious and attentive to detail in the process. Don’t be afraid to Ask a Mechanic for any advice on preparing your vehicle for travel, and be sure to have any services performed before your vehicle is moved, especially if your check engine light is on. Q: Flat spot in motor.